We listed up our recommendations for you ! 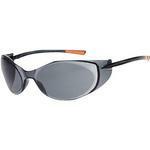 MonotaRO offers Safety Glasses and more. You can buy them anytime from our Singapore online store. Accessories: Strap with, Specification: Anti-scratch processing, UV cut, nose pads, TRUSCO Part Number: 366-6000, Material: (Crane) aluminum, Standard: ANSI Standards Compliant (Z87), Lens Color: Photochromic lens, Material (frame): Nylon, Material (lens): Polycarbonate, Lens Thickness (mm): 2.2, UV Cut: 0.999, Purpose: For coming and going indoors and outdoors work., For coming and going indoors and outdoors work. See more results of "Safety Glasses"
Our recommendation, Blue Light Cut Glasses and Sandblasting. You will find Speed Glass Welding Shield 9100 FX and Speed Glass Magnifying Lens and more ! Safety Glasses and Safety Glasses With BX Magnifying Glass and other related products. Protective Glasses Over Glass and Protection Goggles Transparent-With Valve Pbm-1Cb and other related products. Safety Glasses and Safety Glass for Painting and other special offers.